4.7 (Based on 12 Reviews) 100% of reviewers recommended this product. 5.0 Great eye piece for the money! You don’t need to spend hundreds of dollars for a great eyepiece. These are amazing for the price! I bought the 8mm and 5mm and love them both! 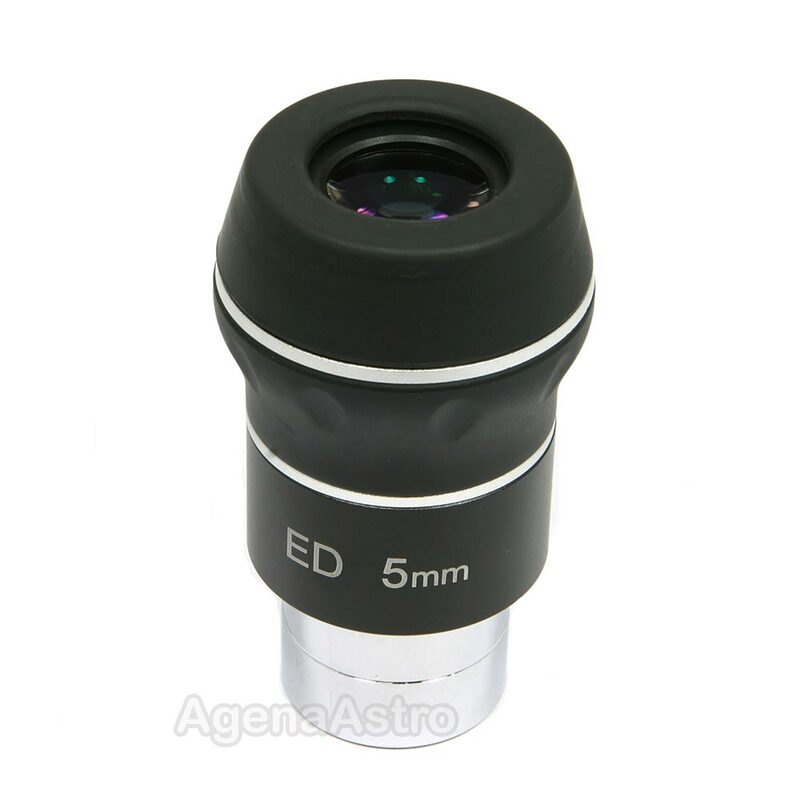 4.0 Nice eyepiece, but better than 5mm TMB Planetary II?? After doing a lot of research, I bought this eyepiece to see if it was going to be the "one-two knockout punch" for my longtime and well-used 5mm TMB PLanetary II eyepiece. The 5mm has good eye relief and a fairly dark background. Scatter is kept to a minimum, focus is very good when using a prism diagonal, and images stay sharp across the entire field. When seeing becomes steady, Jupiters's northern and southern equatorial bands become crisp and well-defined, as do the darker polar regions. There is no detectable false color when viewing Jupiter or the Moon. All in all, the Starguider is a very capable planetary eyepiece, but is it better than the 5mm TMB Planetary II? Based on my own tests and observations, I would have to say the answer is "No". While the Starguider has a much sleeker design, optical quality is a draw between the two eyepieces. In my honest opinion, both eyepieces are equally strong and capable for planetary work. That being said, if you're looking for your first hi-power planetary eyepiece, that won't break the bank and provides you with nice views, give the Starguider a try. I doubt that you'll be disappointed. Clear Skies!! 5.0 Nice eyepiece for the money. I have the 3.2mm and the 5mm now and love them both. I bought this to go with my Christmas scope, a 102mm f/7. It gives me around x142 and that's about the max for my red zone seeing. It has given me great views of Jupiter and split a couple of cools doubles. I am no eyepiece expert, but this is my second Duel ED and I am very happy with it in my new APO. Another fantastic Agena Starguider eyepiece! Great planetary EP for a great price. These are great eyepieces for what they cost. They've pretty much turned into my workhorse setup. I purchased this and the 3.5 mm version to use with a 71mm f5.6 refractor that I use as a rich field finder on my Dob and as a grab and go planetary scope. They are absurdly good for the price. I see no false color on the moon and Venus and they are sharp across the 60 degree field. I see no field curvature with these as I had with Naglers. Review by Jersey Joe of Southern New Jersey. The 5mm Agena 1.25" Starguider Dual ED Eyepiece is one of three of the Starguider line I have. I find the performance of this eyepiece to be amazing, especially considering the price. It's sharp across the field and shows no noticeable aberrations. The field of view is not the largest available in eyepieces, but I find it to be just right, wide, but not overly so. Eye relief is excellent in all focal lengths, including the 5mm and eye position isn't super critical, resulting in a very comfortable viewing experience. Scatter is very low, compared to some higher end eyepieces. What really sets this eyepiece apart from others is the exceptional color dynamic seen on planets, especially Jupiter. Colors are not harsh and not faded. The dual ED elements are evidentially making a difference compared to other brands I've used. In my opinion, especially considering the price, they are outstanding eyepieces. Review by Julio Garcia of Harrisonburg, VA. I bought this for my wife's telescope, which I got her for Christmas last year. This really helped us be able to see the stars and planets better. I got some great pictures of Mars and the moon. Thanks so much! Can't be bear for the price, works well in f/5 scopes. Review by Spencotronix of Indiana (don't judge me! ).